"The "can-do" attitude of the Silvermoon programming team has made any innovation I can dream up a reality." We're not your typical programmers. We understand business needs and do everything possible to make your ideas happen. For this reason, we so far have never said, "That's impossible" to our clients. Have an idea for your website? Maybe an app that doesn't exist in our suite? Just let us know, and we'll make it happen. Click on the video above to view just one mini-app as part of our Content Management System. 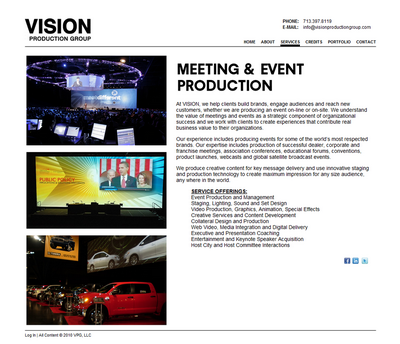 VISION helps companies build relationships between brands and their unique audiences through effective communications across a wide array of integrated media. 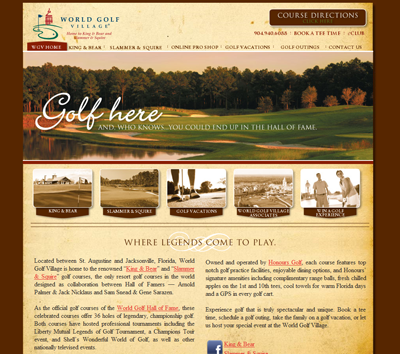 Wold Golf Village is home to King & Bear and Slammer & Squire golf courses in Florida. If you're an Ad Agency or a Design Firm, click here. Are you a business looking for a powerful CMS for your own site? Click here.